The Bruce McMouse Show now has it's own website! 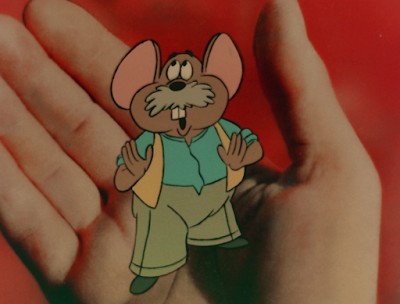 Shelved in 1977, this "Wings Over Europe 1972" tour film mixes a story about animated mice with a selection of complete songs from Paul McCartney & Wings. The film will now get limited screenings in Australia, Canada, U.K. and USA, starting January 21. It's also available on Blu-ray/DVD in the Super DeLuxe edition of "Red Rose Speedway" , which was released in December 2018. When the film was finally completed in 1977, there was another film in the works, "Rockshow " from Wings' 1976 tour of the USA. And even that film got outdated when Joe English and Jimmy McCullough departed from the group in 1977. The Bruce McMouse Show was directed by Barry Chattington and produced by Roger Cherrill with the live elements taken from four shows in Holland and Germany in 1972. As often is with Paul McCartney's concert films, each song features footage from several shows with Paul wearing different outfits. The songs have also been sweetened for the soundtrack, all the guitars and vocals are in tune and all instruments are audible. Scenes of Paul and the band interacting with the mice on stage were shot without the audiences. Prior to the European tour Paul had the idea of a family of mice and sketched the characters. Picking up the idea, Eric Wylam took Paul’s sketches and created the final McMouse family. This storyline was incorporated and used as a linking theme within the concert footage. The voice-overs for the animated mice took place at the end of 1973, recorded by Paul and Linda McCartney, Deryck Guyler, Pat Coombs and Derek Nimmo. 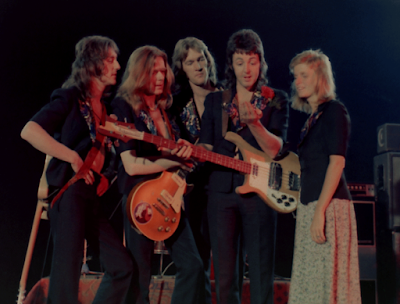 Production stretched from 1972 through to 1977 when the film was complete, however with changes in the band’s line-up and music scene, the project was shelved. The Bruce McMouse Show has been fully restored in 2018 at Final Frame Post alongside a brand-new audio mix (stereo and 5.1) created at AIR Studios where it was also mastered.